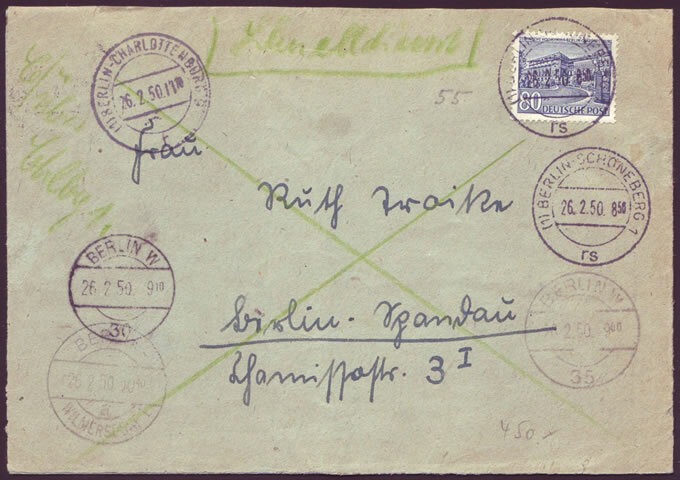 1950 Berlin "Rohrpost-Postschnelldienst" cover from the re-opening after the war at 1.3.1949. The letter dates from 26.2.1950, a very early example of this transport method in West-Berlin. 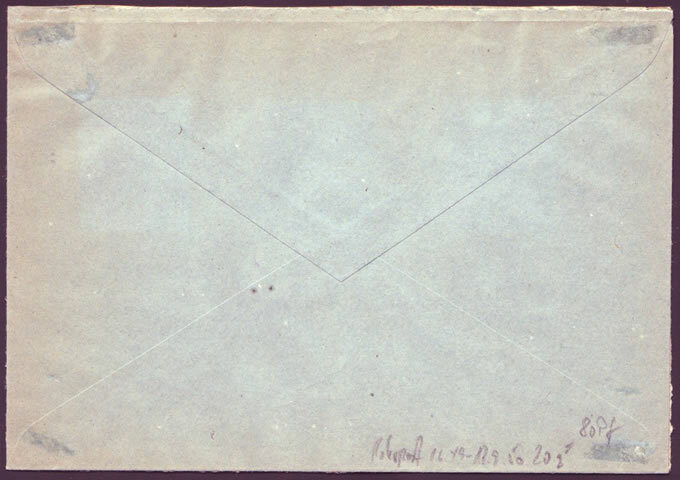 A letter up to 20 gramm cost 80 Pfennig. Surviving examples are quite elusive.